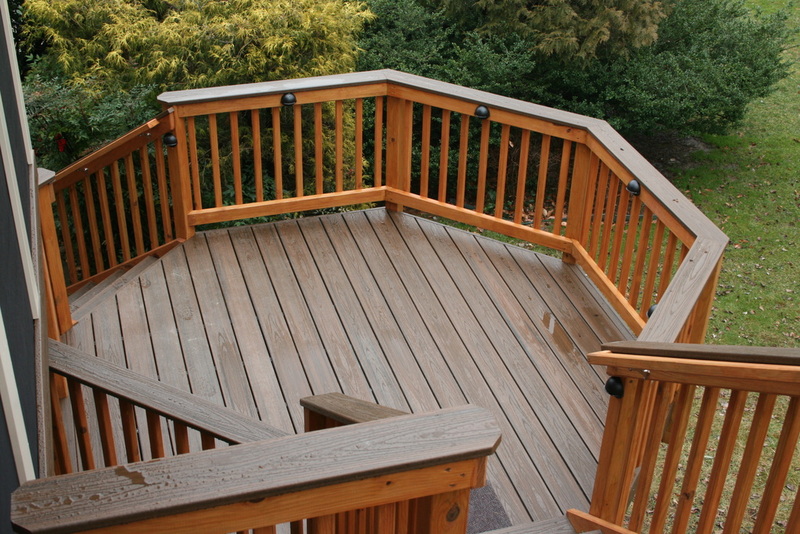 way to build a deck that is strong and still easy to care for. 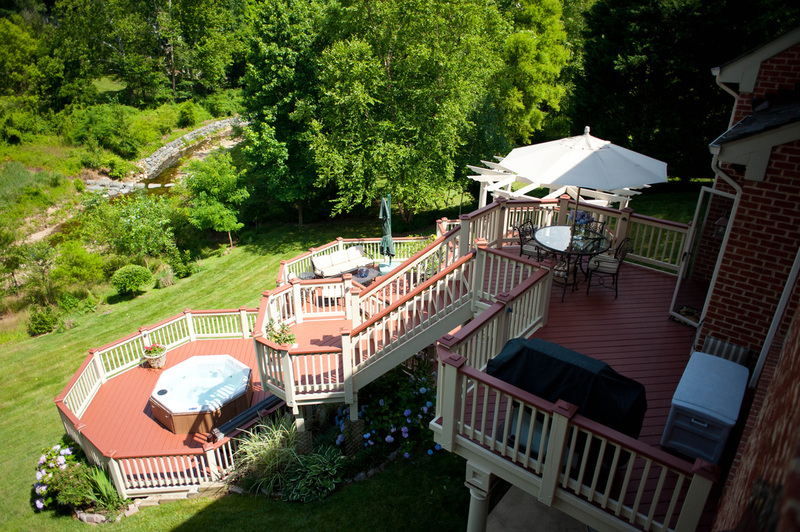 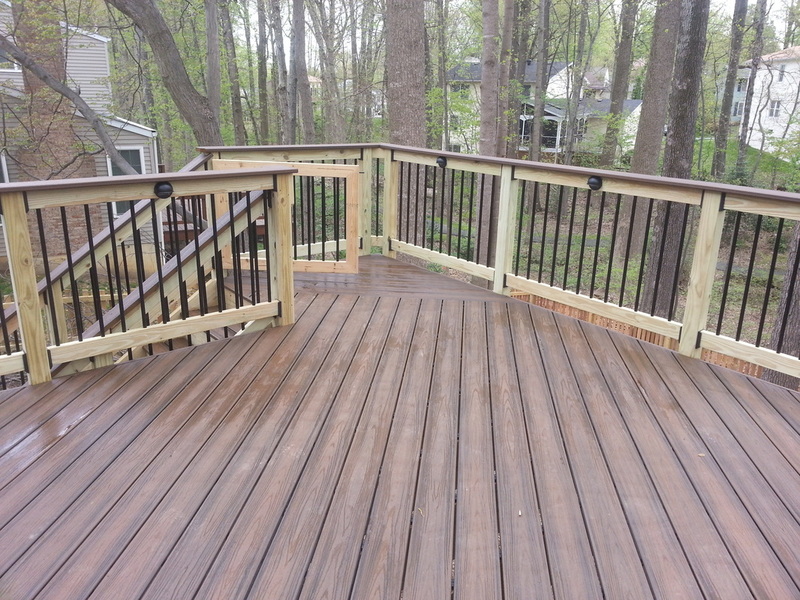 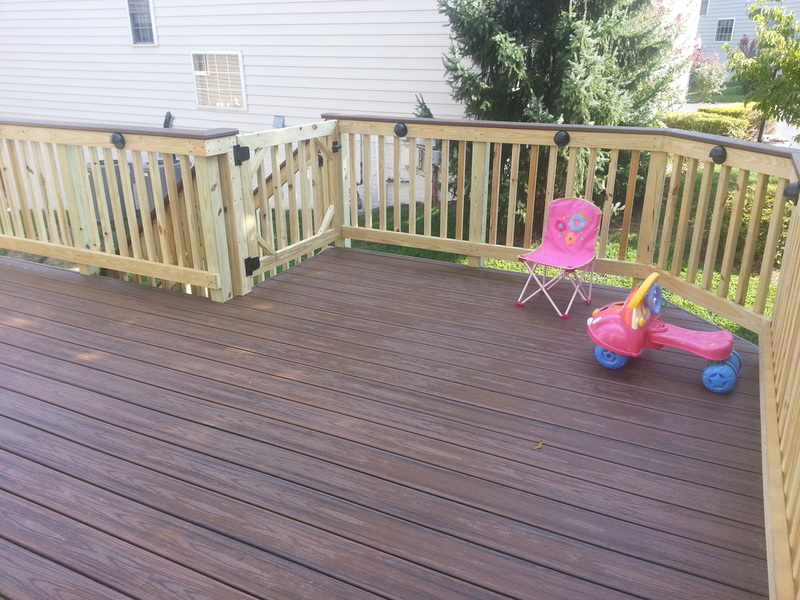 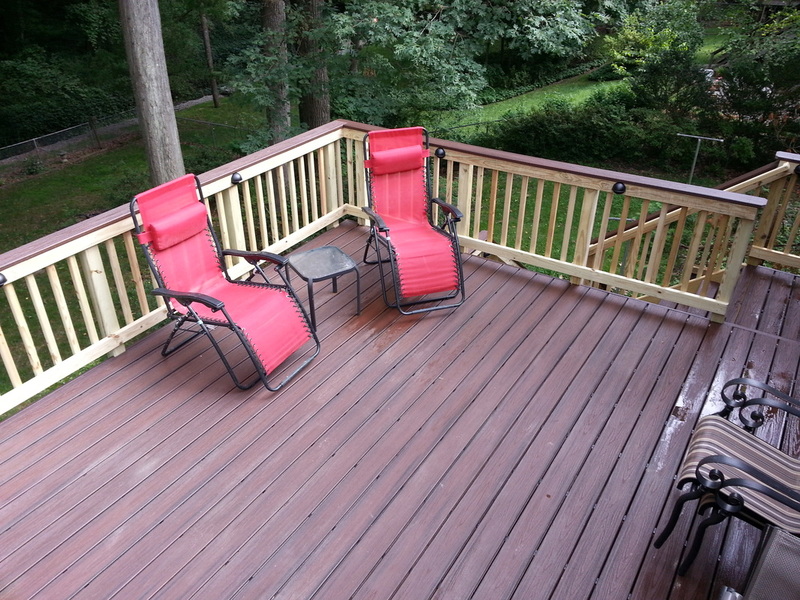 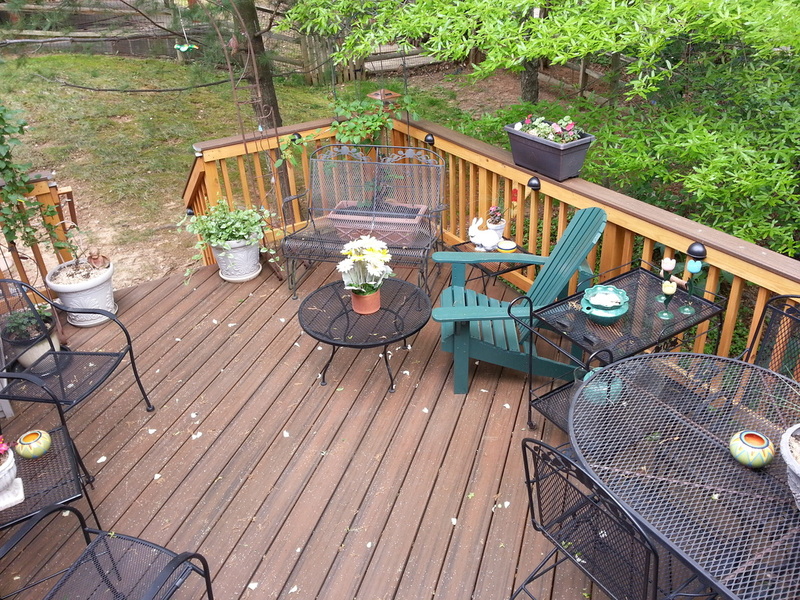 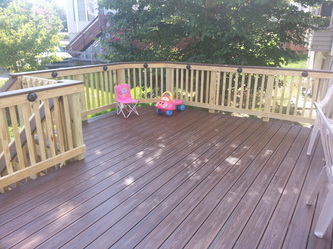 Photos of decks are all personally designed and built by Ray Kruse in the Northern VA region. 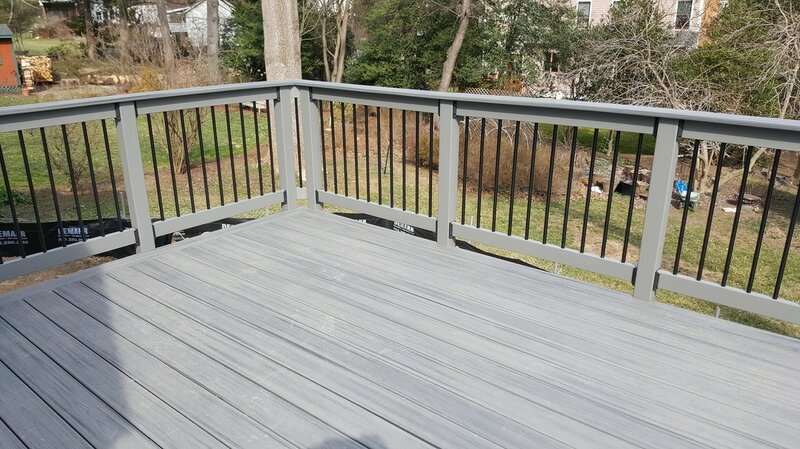 Decking: Trex Accents series winchester grey color. 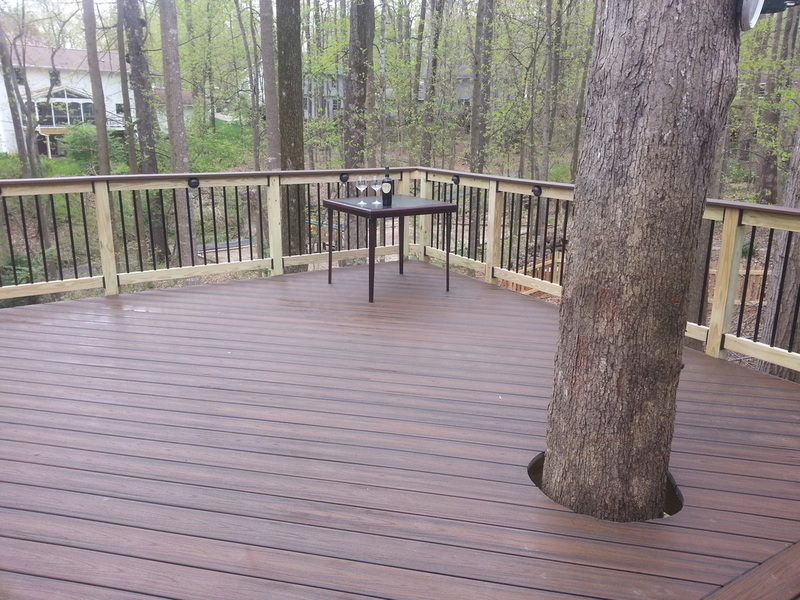 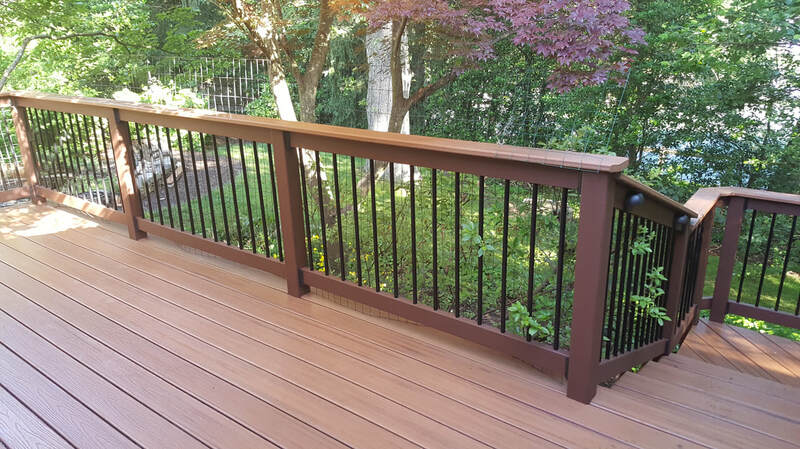 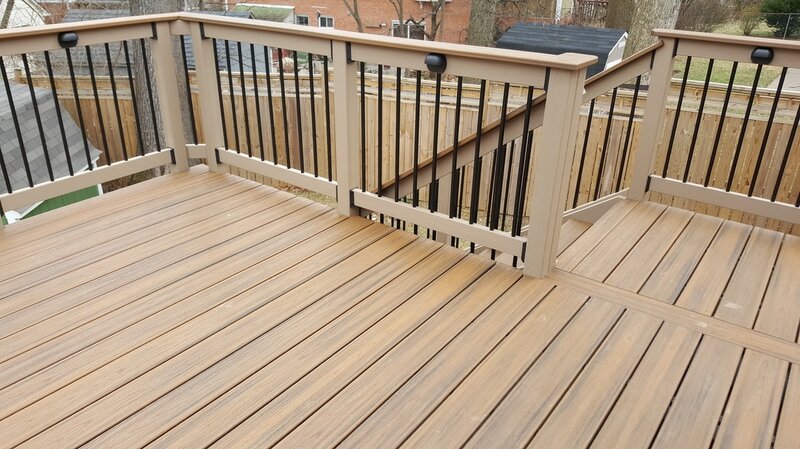 Standard pressure treated railing, Decking: Trex Transcends series, Treehouse color. 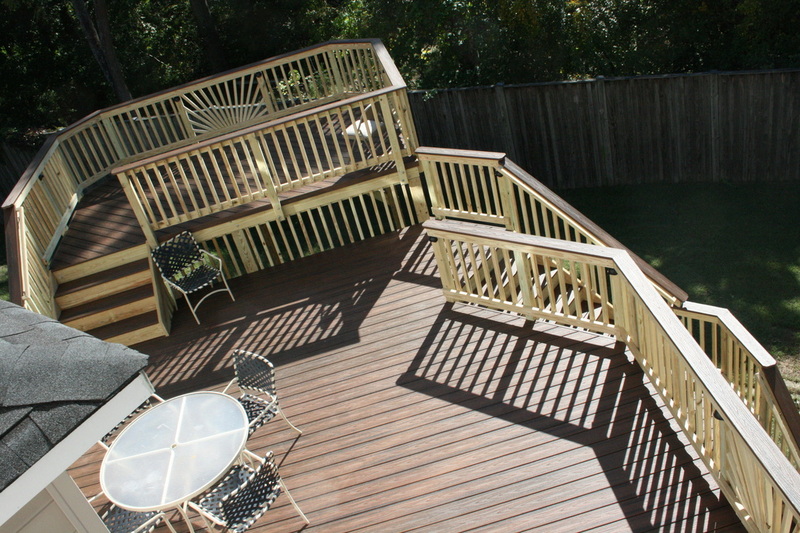 Malibu low voltage Lighting.